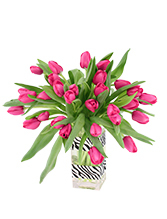 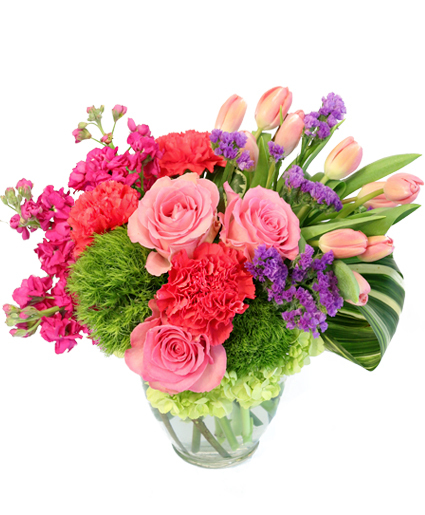 Rectangular Vase, Hot Pink Tulips, Black And White Zebra Striped Ribbon (Wrapped Around Outside Of Vase). 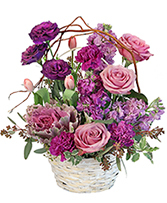 Please call the shop with any unusual/late day delivery requests as we are often able to accommodate special requests:) 610 584 7280. 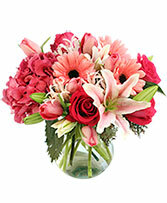 Fruit baskets & gourmet baskets & specific plant choices 24 hr notice requested.